New Videos from Stampin’ Up! Grab your favourite beverage, and settle in to watch some new videos from Stampin’ Up! The new Holiday catalogue is here, and you’re probably trying to decide which of the new products to buy first! If you’re like me, your wish list is long and you need to prioritize. These great new videos from Stampin’ Up!, can help you not only decide what to order first, but also see the versatility of the different products. This is a great example of when you should purchase a Bundle, which is the stamp set and coordinating thinlits. While the Ready for Christmas stamp set definitely has Christmas themed images and sentiments, it also has images that can be used at any time during the year. 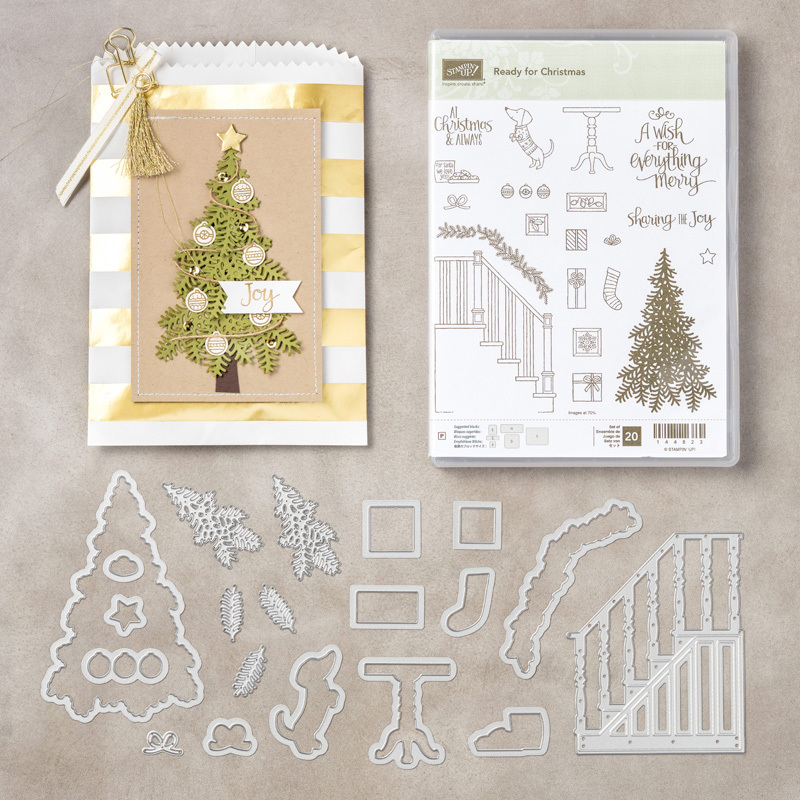 Pair them with the Christmas Staircase Thinlits Dies, and you’re ready to create projects to WOW your friends and family! Isn’t that amazing?! No wonder it was on the top of my ‘must have’ list! Have any quilters in your life? They’re going to LOVE receiving a card made with the fabulous Christmas Quilt stamp set and Quilt Builders Framelits Dies! Of course you can purchase the Bundle, and Save 10%! 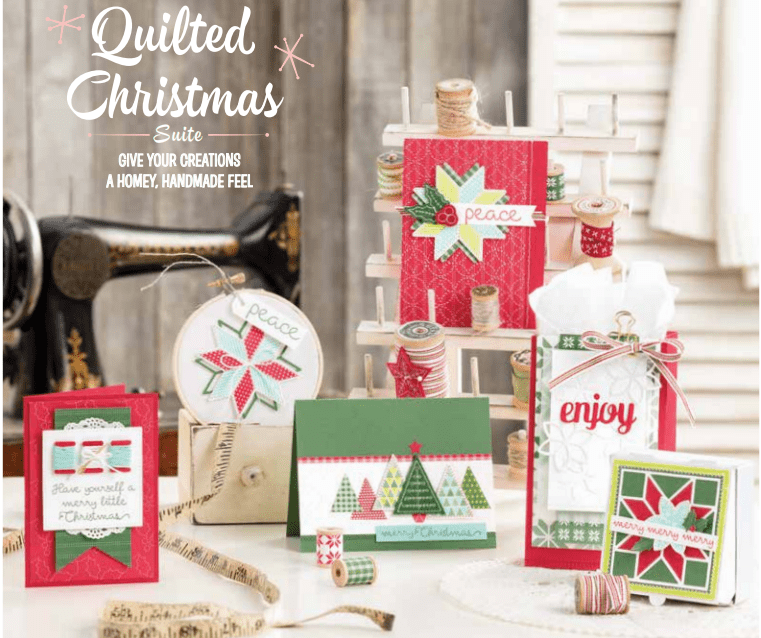 There is an entire Quilted Christmas Suite of products that you’re going to love; Ribbon, Stitched Felt Embellishments, Designer Series Paper, Quilt Top Textured Impressions Embossing Folder and Quilted Christmas Cardstock Pack. Want to switch it up from a Christmas theme? Simply change your ink and cardstock colours, and use a different DSP pattern! MAKE YOUR LIST, AND ORDER NOW! I hope that these videos have helped you – or maybe given you new ideas on product you hadn’t considered! Once you’ve got your list ready, just click on the images below to order from my online store, open 24 hours a day. If you prefer to have me order for you, contact me directly at debsmart@shaw.ca. Previous Previous post: Let Me Introduce the New Holiday Catalogue! Next Next post: Get Ready for the Holidays!